Dr. Edwards’ upcoming talk, “Counterplanning from the Kitchen Table: June Jordan and the Domestic Literary Enterprise, 1979-1985” will focus on the prolific poetry, writing, teachings, and activism of June Jordan. Centering Jordan as an influential figure in ethnic, gender, and queer studies who fought for social justice throughout her life, Dr. Edwards' talk beautifully connects to the mission of the Peggy Pascoe Memorial Lecture. Erica R. Edwards is an associate professor of English at Rutgers University. She is an expert in African American literature and culture and the author of Charisma and the Fictions of Black Leadership (University of Minnesota Press, 2012). Edwards is currently at work on her book The Other Side of Terror: Blackness and the Culture of US Empire, which argues that the making of US empire as a way of life throughout the long war on terror has transformed contemporary black writing. Mapping the transformations of African American literature against campaigns of counterterrorism both at home and abroad—beginning in 1968 with the FBI’s covert COINTELPRO war against black radicalism and proceeding through the war in Vietnam, the Iran hostage crisis, the first Gulf War, and the wars in Afghanistan and Iraq—Edwards argues that poetry, fiction, television, and film have exposed what she calls the imperial grammars of blackness while also marking out minor grammars of subsistence, survival, and black radical undoing. 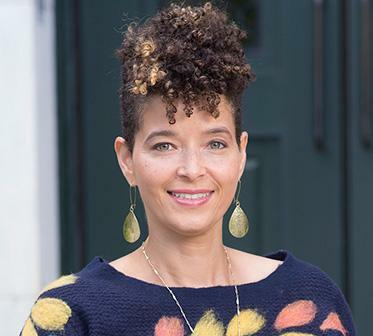 Edwards is the recipient of awards and fellowships from the Andrew W. Mellon Foundation, the Modern Language Association, and the Woodrow Wilson National Fellowship Foundation. In 2017-2018, she held the Presidential Term Chair in African American Literature at Harvard University. Edwards cofounded the UC Consortium for Black Studies in California. Her work on African American literature, politics, and gender critique has appeared in such journals as American Literary History, American Quarterly,Black Camera, Callaloo, and differences: A Journal of Feminist Cultural Studies. Edwards earned a PhD in literature from Duke University. Peggy Pascoe, once the Carrie C. Beekman Professor of Northwest and Pacific History and a professor of ethnic studies, was a longtime ethnic studies executive committee member and later a core faculty member whose commitment and passion are remembered dearly by her ethnic studies colleagues. To memorialize her unwavering dedication to the building of ethnic studies, we have instituted the annual Peggy Pascoe Memorial Lecture to honor the hard work and care she selflessly devoted to the department. 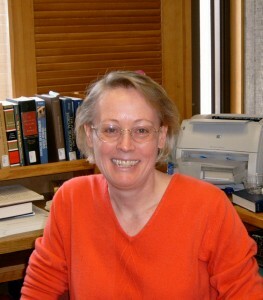 Pascoe was a UO faculty member from 1996 until her death in July 2010.